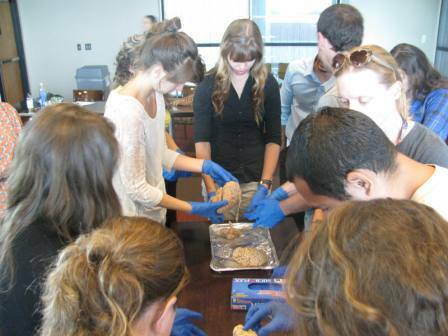 This week I got to hold a human brain! Yup. A graduate student from the university neuroscience department came to our weekly seminar. He gave us a brief presentation about ‘research’ on Zombie brain after which he rolled out a cooler and pulled out a couple of human brains. The goal was to walk us through a proper research project presentation. His other point was to encourage us to pursue whatever it is we are really passionate about. Once we figure that out, an important skill is being able to get other people excited about our research, otherwise, good luck forming a research team and getting funded. My main priority is to work on putting together my final poster. Space is limited which makes cutting down all my hard work into a couple of bullet points pretty challenging (Everything about my project is important, duh). However, if I want people to actually stop by and listen to my presentation, I need to keep it simple.